Thank you for your continued support and participation with YCB; it is integral to our organization’s success! The 15th Annual Bravo and Golden Bravo Awards were hosted in partnership at the Kwanlin Dun Cultural Centre on Thursday, February 28, 2019. 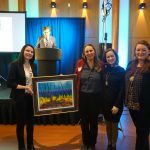 The 2018 Bravo Award was presented to the Yukon Rights Commission for hosting the Canadian Association of Statutory Human Rights Agencies (CASHRA) Annual National Human Rights Conference last June. The conference saw an attendance of 230 delegates from across Canada. 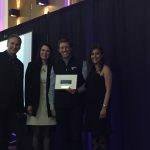 The winner of the 2018 Golden Bravo award was Who What Where Tours for their service excellence in event management, tours, transportation ad support services for Syngenta Canada’s TLT Executive Board Retreat last June. Two weeks ago, YCB hosted its 15th annual Red Carpet Tour and what a fun, informative and food filled day it was! This year’s Red Carpet Tour saw a total of 13 participants from various government departments and the private sector. Thanks to the Beringia Interpretative Centre for kicking off the event and for the Westmark Whitehorse for catering the breakfast. Our ground transportation sponsor, Standard Bus drove the group around all day to properties for site visits which included, the Old Log Church, Yukon Transportation Museum, Coast High Country Inn, Edgewater Hotel, Kwanlin Dun Cultural Centre, MacBride Museum, the newly opened North Light Innovation Hub to tour (co) space & Yukonstruct’s new spaces. 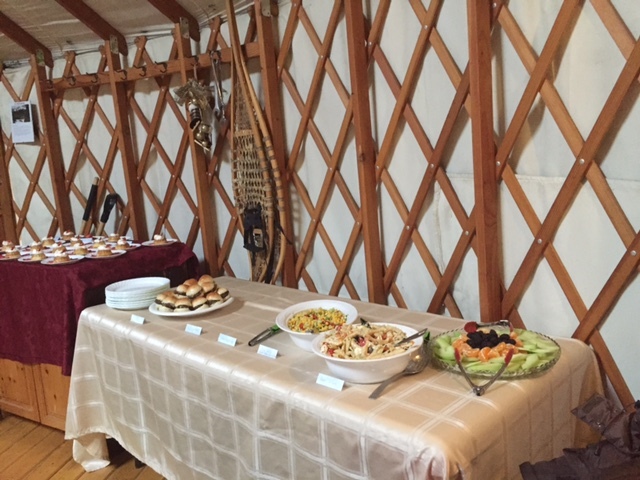 For lunch we were treated to local and delicious delights prepared by Chef, Ayla Smith of the Woodcutter’s Kitchen at the Woodcutter’s Blanket. 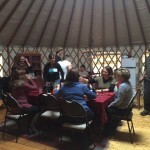 In the afternoon, we visited the Yukon Wildlife Preserve and Lumel Studios to learn about the various pre and post meeting activities there are to do in and around Whitehorse. Our day ended off at the newly opened Wayfarer Oyster House where YCB staff drew names for door prizes while sampling oysters and smoked fish. Thank you to all of our members, partners and sponsors for helping make this day possible – we couldn’t do it without you! Your continued support and participation with YCB is integral to our success as an organization! 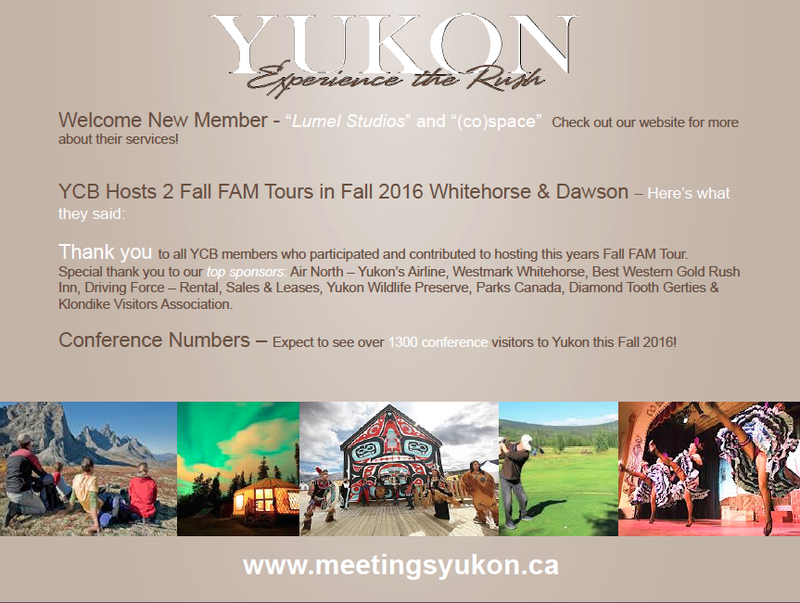 Welcoming our newest members to the Yukon Convention Bureau’s membership! 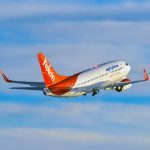 On Friday, May 18, 2018, Air North – Yukon’s Airline launched service to Victoria! The new route includes a direct flight to Victoria or a short stop in Kelowna creating reduced travel time to Vancouver Island. Not traveling from Victoria or Kelowna? Remember Air North – Yukon’s Airline, has interline baggage agreements, allowing you to fly to their gateway cities (Ottawa, Vancouver, Edmonton, Calgary, Yellowknife & Kelowna) and hop on Air North flight. Your continued support and participation with YCB is integral to our success! The 14th Annual Bravo and Golden Bravo Awards were hosted in partnership at the Kwanlin Dun Cultural Centre on Thursday, February 22, 2018. 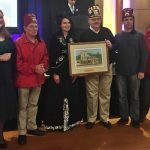 This year’s Bravo Award was presented to the Gizeh Shriners of BC & Yukon planning committee for their efforts with their May 2017 Spring Ceremonial event that brought 180 delegates to the Yukon, with delegates as far as Pennsylvania, Montana and Idaho. 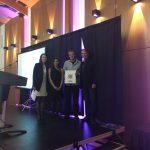 The winner of this year’s Golden Bravo award was Leaf Solutions for their logistical efforts with the Gizeh Shriners of BC & Yukon Spring Ceremonial. 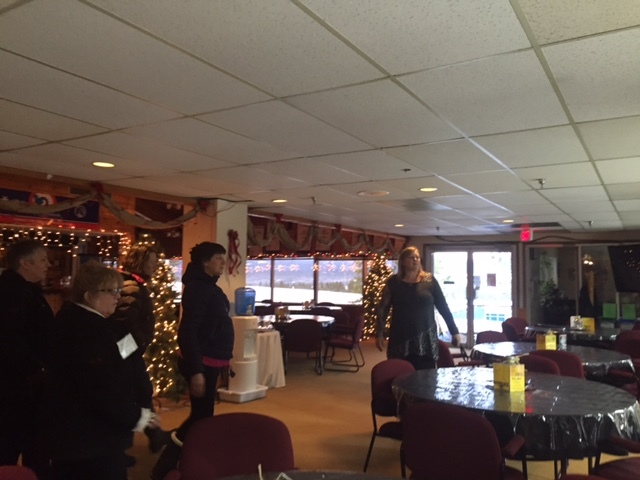 Last week, YCB hosted its 14th annual Red Carpet Tour and what a fun and informative day it was! This year’s Red Carpet Tour saw a total of 10 participants from various government departments, the private sector and one participant from Ottawa. Thanks to the Beringia Interpretative Centre for kicking off the event and for the Westmark Whitehorse for catering the breakfast. Our ground transportation sponsor, Standard Bus drove the group around all day to properties for site visits which included, Skky Hotel, Yukon Transportation Museum, Kwanlin Dun Cultural Centre, Coast High Country Inn, Edgewater Hotel, MacBride Museum and the Westmark Hotel. During lunch we ventured out to the Cut Off Restaurant for a privately catered lunch, which included a sampling of their lunch menu. We also visited the Yukon Wildlife Preserve and Lumel Studios to learn about the various pre and post meeting activities there are to do in and around Whitehorse. Our day ended off at the Birch & Bear where we drew names for door prizes and tasted some items off their catering menu. Thank you to all of our members, partners and sponsors for helping makethis day possible! Team Yukon and partners are off to Ottawa to celebrate Canada’s 150 and to drum up business in the MICE market at the Tete a Tete trade show. YCB, Air North, Yukon’s Airline, Yukon Hotels, Holloway Lodging Corp and Kwanlin Dun Cultural Centre are heading to Tete a Tete in Ottawa February 1 – 2, 2017. Tete a Tete is a yearly trade show held in Ottawa that YCB has been attending for 12 years? longer than we can remember. Prior to the trade show is Destination Direct’s, Hosted Buyer program that is in its second year. The program allows for a more effective sales partnership opportunities and creates dedicated one on one time with planners. A Yukon Adventure Package will be auctioned off at the MPI Ottawa Charity Auction and Gala Dinner. Thanks to Air North, Yukon’s Airline, Yukon Transportation Museum, Yukon Brewing, Driving Force, the Westmark Whitehorse, Coast High Country Inn and the Downtown Hotel for their generous donations to make this package happen! 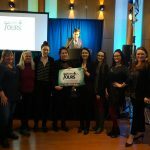 YCB, Yukon Hotels, Holloway Lodging Corp and Air North, Yukon’s Airline are heading to the International Meetings Expo (IMEX) in Las Vegas, October 18 – 20. Team Yukon hopes to generate more MICE business for the Yukon by hosting our “Chat & Win” contest. Over 80% of inbound business travellers came from the US in 2015 according to a recent report from Business Events Canada. The strong US dollar and affordable, frequent access to the territory are the main factors for YCB to seek opportunities across the border. This is YCB’s first targeted trade show in the US market. Welcoming our newest members to the Yukon Conventions Bureau’s membership! We look forward to working with you! 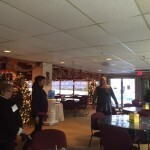 YCB recently hosted our 12th Annual Red Carpet Tour and what a fun day it was! 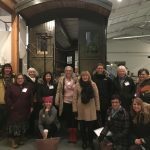 We had a full bus of 13 participants venturing around Whitehorse visiting facilities, venues, and meeting spaces and looking at pre-post and spousal programs. Our day started at the Beringia Centre for welcoming remarks by Minister Elaine Taylor- Thank you! followed by the SKYY Hotel, Kwanlin Dun Cultural Centre, Westmark Hotel, High Country Inn & Convention Centre, Best Western Gold Rush Inn. 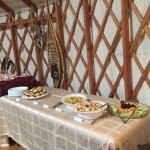 We stopped for a delicious lunch at Sky High Wilderness Ranch and explored some of their beautiful cabins and meeting spaces. 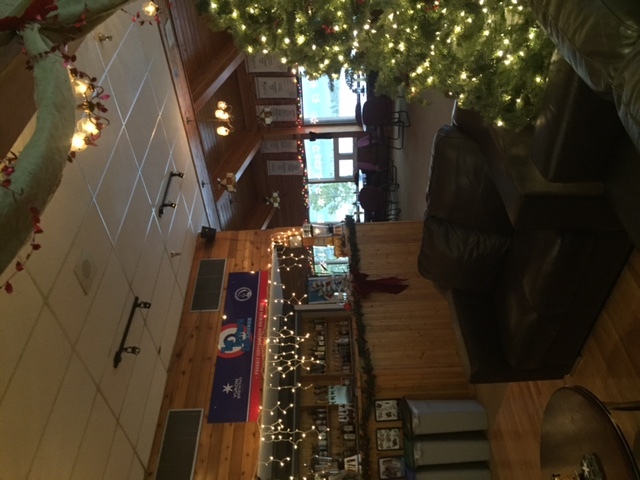 The afternoon started with a visit to Mount Mac Curling Club, The Days Inn, Yukon Artists @ Work, we finished the day at the Yukon Inn for a well-deserved drink and some door prizes! A BIG thank you so Standard Bus for transporting the group all day and to all the businesses/organizations involved. If you would like more information on this event please contact us! The Yukon as a conference destination & the services of YCB were featured in a Site Inspection article in The Globe & Mail! YCB is Full SALES Ahead! 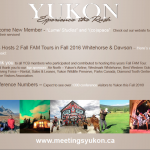 Fall 2013 – Sales Activities – The Yukon Convention Bureau is gearing up for our fall sales line up, heading across the country, establishing Yukon as an accessible, attractive and affordable destination for meetings and conferences. This is the beginning of our industry’s busiest period with tradeshows and conferences. Over the next three months YCB and our partners, will attend three trade shows, host two in market client events and make a number of sales calls in our target markets of Toronto, Calgary and Vancouver. And really, why stop there, when we can bring some of our potential clients up for a FAM Tour in September and host a Red Carpet Tour in November? For more information on our Fall 2013 Sales line up contact us at info@ycb.ca or 867-668-3555! Its our favourite time of year again – when YCB travels throughout the Yukon, meeting with our members and industry partners. Each summer, YCB makes three separate trips within in the territory, to; Southern Lakes (Teslin, Atlin, Tagish & Carcross), Dawson City and Haines Junction. Meeting with YCB members and tourism operators face to face, help to strengthen our communications and develop important relations we need to succeed as a year round destination. By offering an opportunity for open discussions on current trends, issues and success’, YCB becomes better equipped to represent and market the Yukon, for meetings, conferences and incentive travel. This year YCB will be joined by our partners from TIA Yukon & Air North, Yukon’s Airline – industry leaders in marketing & selling destination Yukon. YCB would also like to thank member/sponsor DRIVING FORCE, for providing our vehicle for this years tours! Watch for our YCB/ DRIVING FORCE van as we head out to the Southern Lakes are on Thursday Aug 1 & Friday Aug 2nd. We look forward to seeing everyone! On Wednesday September 19th, members from MPI BC Chapter came together with fellow industry professionals for the annual September Schmooze. Held at the Westin Bayshore, this year’s networking and exhibitor reception had a fantastic turnout! YCB and partners attend events year round for meeting & event planners. Our goal: to position the Yukon as an attractive, accessible and affordable meeting & event destination. Adam Gerle proves this event accomplishes this goal. Be sure to check out the photos, courtesy of Mark from Vision Event Photography! 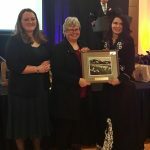 Three businesses took home prizes at the Yukon Convention Bureau (YCB)’s its 9th Annual Bravo Award and Golden Bravo Awards held last February. Sponsored by Outside the Cube, Coast High Country and Gold Rush Inn, Westmark Whitehorse & Leaf Solutions, the event was a great success. There was a tie for this year’s Bravo Award. The two winners are 2012 GoMedia Marketplace Host Committee and the 62nd Canada-France Convention. Both made significant efforts with all their 2012 events. 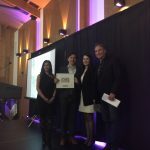 This year’s Golden Bravo Award was presented to Coast High Country Inn & Yukon Convention Centre for their outstanding service to the GoMedia Marketplace event. Congratulations to all three of these years’ winners! 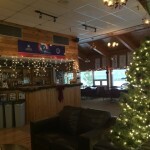 Air North – Yukon’s Airline,Yukon Brewing Company, North End Gallery, Old Log Church, Diamond Tooth Gerties, Morels at Coast HCI, Sport Yukon, Klondike Travel, Antoinette’s Restaurant, Cabin Fever Adventures!